Take part in an extensive online community of aesthetic professionals and distributors. Communicate through groups and forums, stay current with blogs, check out upcoming events, and catch up on recent community activity. Read from hundreds of articles on topics like skin care, body, business, beauty, and wellness. Access featured videos, as well as products and news, and stay current on all the industry’s latest trends. Scroll through this vast database of product distributors, search by category, and watch informational videos from featured companies. Add your own company and products as a resource to other professionals. Gain access to DERMASCOPE’s digital magazine and find hundreds of articles written by industry experts on topics like skin care, body, business, and more! Also, check out the results for the Aesthetician’s Choice Awards and subscribe to the magazine! Meet Aesthetics International Association (AIA)! Discover the benefits of joining, membership options, and answers to frequently asked questions. 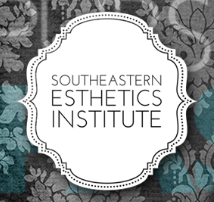 Find resources for aesthetics licensing and continuing education. People have an intrinsic desire to look great and have a perfect complexion. This is what has made our industry flourish. When a fellow aesthetician or staff member tells me that they dislike retailing because they “do not want to feel pushy” or “do not know the product,” I am led to believe that they do not want the best results for their clientele. From firmer skin to fewer breakouts, aestheticians are leaders in helping clients achieve their skin care goals. Every part of an aesthetic practice is centralized on improving a person’s look. In order to successfully meet skin care goals and maintain results, a client must commit to practicing good skin care habits at home. As an experienced advocate of retailing and director of multiple facilities, there are a few things I have learned over the decades about retailing successfully. First and foremost, retail with your clients skin in mind. Identify the products that you are selling successfully and keep the focus of your retail floor in line with your business philosophy. Build your brand loyalty based on customer service and communication. There are countless competitors out there; do what you can to distinct yourself and promote your business effectively. Fifty years ago, retailing and identifying consumer trends were easy. It was all based on local markets and the needs of dedicated customers. Today, in our digital age, we are competing with “big box” retail stores and online stores. Information is global and clients are more educated about their skin; they have the ability to price match and read product reviews with their smartphones. Overall, our clientele is more judicious in the products they purchase. "As skin care professionals, you are doing your clients a disservice by not offering them the products they need to achieve their best looks." According to the Mintel Group for market research, a significant number of consumers choose to only purchase brands they trust. This trend of brand loyalty is highly significant to aestheticians for two reasons. First, clients have many choices when it comes to purchasing skin care, so superior customer service is very important. Aestheticians can distinguish themselves by delivering top-notch service and establishing communication with clientele to ensure that their skin care goals are being met. While your price point for services and products is important, the overall experience and sense of value you deliver is what keeps your clientele returning and referring. Your service essentially becomes your brand. Secondly, once you have built your customer’s loyalty and they are dedicated to your brand, they will most likely stay with you for a long period of time. Retailing and customer service is an integral part to building brand loyalty. Aestheticians help clients achieve their results by selling skin care products. In turn, retailing benefits every aesthetician by increasing his or her earnings, offsetting service expenses and improving credibility. Your credibility is increased because in order to sell a product, you must learn the product, its key ingredients, and how they benefit the skin. Another byproduct of selling is interaction with the customer. Actively engaging with your client is a fundamental process to relationship building, which is the foundation to customer loyalty, referrals, and long-term clientele. As advocates for results, aestheticians should always retail products that help relieve the signs and symptoms of a variety of skin conditions. Retail space in the spa environment is scarce and in facilities with a salon and spa, retail space should be shared proportionately. This space should communicate the philosophy of the business, serve the clients’ needs, and have the capability to encourage retail sales with or without an aesthetician present. "If you need help determining the benefits of a product, consult with your wholesale product representative." Each product line should be merchandised for easy shopping by every individual in the facility. Established spas and salons should dedicate the majority of their retail space to skin care and offer a variety of product lines to their clientele. However, for some independent professionals, having the real estate to accommodate a large inventory can be a problem when working out of a single room. Whether you operate a large retail space or single retail cabinet, your retail products should be skin care essentials that are presented in multiples and merchandised by skin type or condition. The product line or category that generates the most revenue should have the most retail space. According to the Mintel Group, the growing trends in consumer skin care purchases include textural improvement, anti-aging benefits, and products that offer multiple solutions in one bottle. Consider these three trends with the product line you currently retail and try to apply at least three benefits to each product on the shelf. Consider this a kind of pop quiz on ingredient knowledge. If you need help determining the benefits of a product, consult with your wholesale product representative. They can assist by providing sales guides and product knowledge courses for aestheticians. Use your product and ingredient knowledge to highlight the benefits of the product to a specific skin type and concern. Then, put your practice into play. At the end of every facial service, show the client three products that they should be using in their skin care routine. List three benefits to each product. Any more than three, the client may feel overwhelmed. Less than three may decrease the importance of the product. The rule of three is a simple habit to practice with every customer. Ultimately, the goal of every skin care practice is to be successful and profitable. Because we have competition locally and digitally, there is the challenge of keeping up with consumer demands and competitors price points. Discounting your services and products is an option to stimulate business, but can be detrimental to your long-term success if not planned. In lieu of discounts, promotional offers are an excellent way to increase sales and introduce new products or services to clientele without discounting goods and services. Strategically plan your promotions so that they fall in line with your business strategy, encourage brand loyalty, and keep your promotional offers focused and limited. Too many offers at one time may make it difficult for the client to isolate the value of each product. All spas and salons, from large full service facilities to independent business owners, can benefit from retailing. In fact, as skin care professionals, you are doing your clients a disservice by not offering them the products they need to achieve their best looks. The competition is out there, but if you keep your retailing focused on your business goal and promote with purpose, clients will buy from you. Determine their need, give great service, and apply the rule of three at the end of every facial service. Tina Zillmann is the founder of Advanced Rejuvenating Concepts and Skin Rejuvenation Clinique. As an aesthetician, product developer and licensed laser professional, she is fluent on all aspects of the aesthetic business, product formulations, employee relation,s and retailing. She has been awarded on television and in print as a local skin care expert in San Antonio, Texas and nationally as a public speaker and published writer in the skin care industry.